Premier design and technology company joins forces with nationally-recognized lacrosse and sports organization – NXTsports. 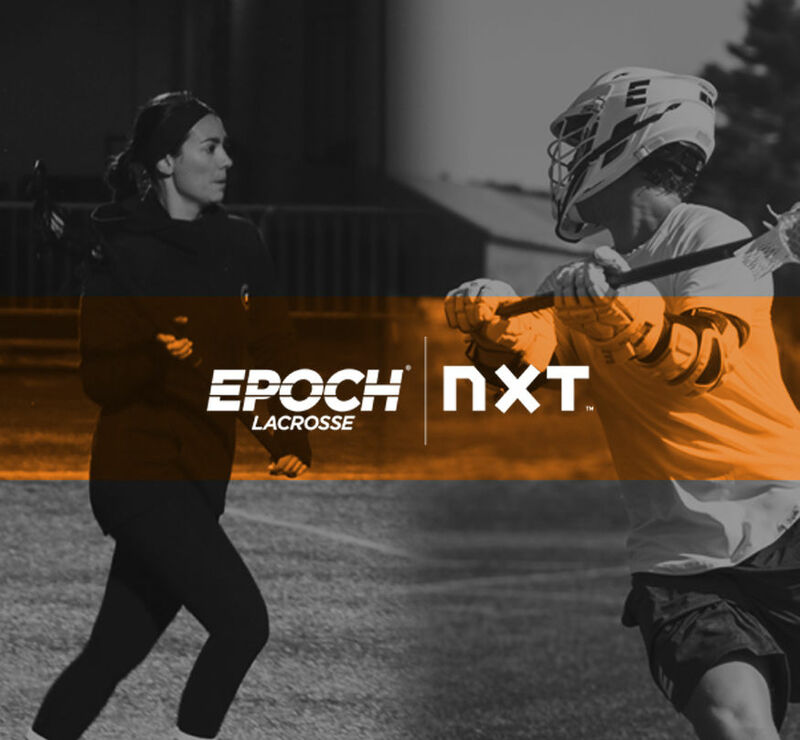 Minneapolis (September 18, 2018) – Epoch Lacrosse, a U.S. design and technology company that specializes in lacrosse is joining forces with NXTsports to be part of the top Showcase events for boys and girls players and coaches across the country. NXT is a nationally-recognized lacrosse and sports organization that focuses on making the experience matter in everything they do, from intro camps to a two-hundred team multi-day lacrosse tournament. NXT’s staff, at every level, is comprised of individuals that are committed to the experience. They are passionate about everything from the coaching, club teams and overall development of their student-athletes. Epoch’s partnership involvement kicks off this fall at the Southern Showcase, Girls Philly Showcase, Can-Am Showcase, and in its 10th year, the nationally-recognized Boys Philly Showcase. These premier events highlight players in NXT’s highly popular individual showcase format. Coaches can nominate players and players can apply to participate. NXT differentiates itself through the diversity of their products and year-round programming through operating premier lacrosse tournaments, leagues, and recruiting events across the country. They also provide educational programming for both boys and girls, from beginner to advanced, and manage elite boys and girls lacrosse clubs comprised of youth, middle school, and high school teams. To learn more about Epoch Lacrosse, please visit www.epochlacrosse.com and follow the brand on Instagram, Facebook, and Twitter. To learn more about NXT Showcase events, please visit www.nxtsports.com and follow the organization on Facebook, Instagram, and Twitter. NXT’s mission is to make the experience matter in everything we do. The mission starts on whiteboards and spreadsheets. It starts with a game plan executed by MVPs at every level. What happens on the field can impact a child way beyond childhood. When you step off the field, all you truly take with you is the experience. We want that experience to matter. NXT is headquartered out of the Navy Yard in Philadelphia, PA and has run 80 lacrosse camps and clinics, 25 boys and girls club lacrosse teams, and 41 lacrosse tournaments and recruiting Showcases across the country. Epoch Lacrosse is custom-designing hard goods for NXT’s fall Showcase All-Star and All-Selection teams for the Boys Philly Showcase, Girls Philly Showcase, Can-Am Showcase, and Southern Showcase. Check out the sneak peek below!